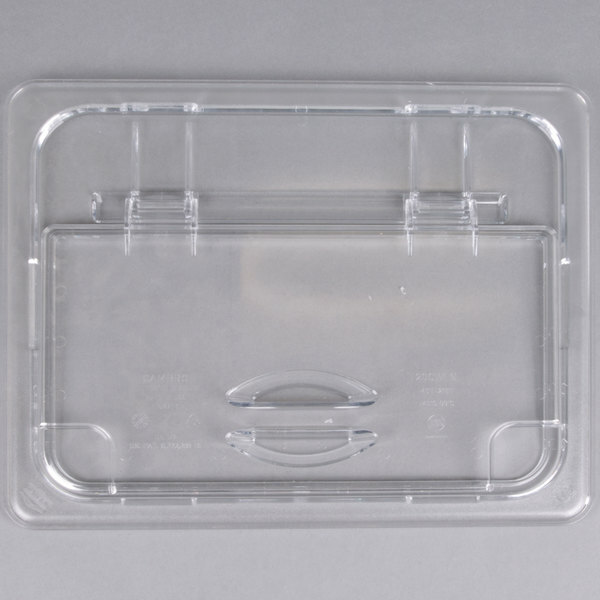 Keep your most popular ingredients fresh and ready to use with this Cambro 20CWLN135 Camwear 1/2 size clear polycarbonate handled FlipLid with spoon notch! 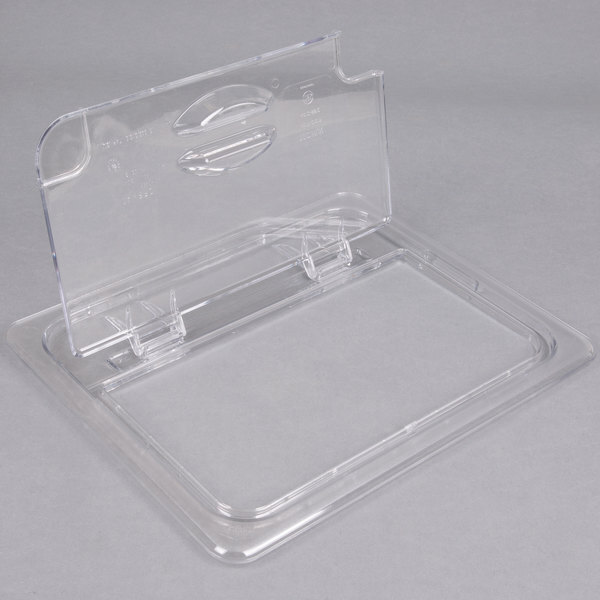 Featuring a traditional clear construction, this lid makes a seamless addition to restaurants, pizzerias, and even catered events. Simply place it atop your food pan, and you're done! 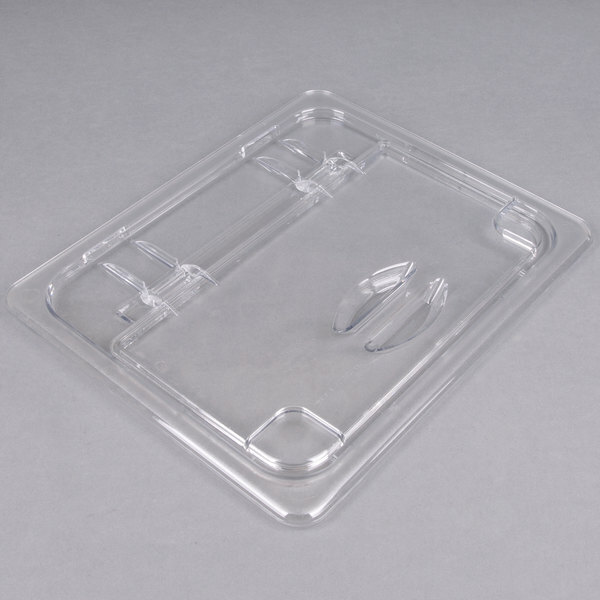 The special FlipLid allows you to easily access the pan's contents without needing to open the whole lid, which keeps food protected from outside contaminants and minimizes the risk of cross-contamination. It features a deep molded handle for a convenient and secure grip, in addition to a spoon notch which allows you to leave spoons and ladles in the container while still having a secure fit. 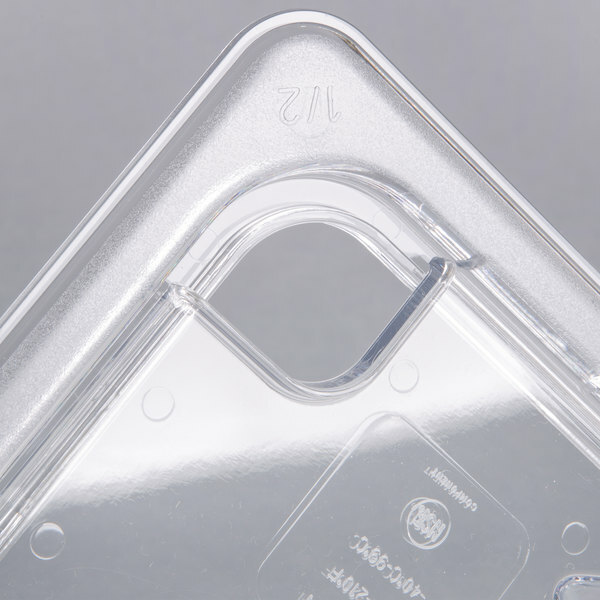 With this 1/2 size clear polycarbonate handled FlipLid with spoon notch, you can rest assured that it will withstand the abuse of daily use, thanks to an easy-to-clean and virtually-unbreakable polycarbonate construction. It's shatter- and scratch-resistant for longevity, and it is designed to withstand temperatures from -40 to 210 degrees Fahrenheit, giving you and your staff flexibility in storage, transport, and use. I love how these lids pop apart and go back together so easily. I've used them many times, and they've never broken. 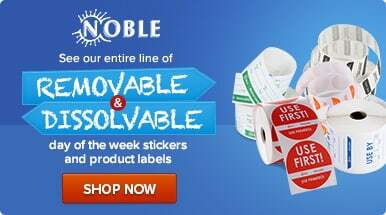 They are durable and easy to clean. I also like the small notch out of the lid for the ladle handle. These lids helped us out on our hot-bar a lot this summer. We were fighting an annoying fly problem, and so we had to keep all the food covered. These lids make it easy for customers to operate the lid and the scoop themselves. Great product and high quality. Use this everyday for our ice cream topping. Opens great, easy to operate and also easy to clean. Perfect for buffet / topping solutions.